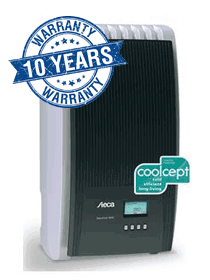 The Steca Coolcept StecaGrid 3203 3.2kW Three Phase Solar Inverter is a three phase on-grid indoor solar inverter. The coolcept inverter topology was first implemented in the single-phase StecaGrid. It achieved optimum efficiency ratings thanks to the innovative switching concept. The three-phase coolcept ​​inverters also benefit from the advantages of this switching concept. The three-phase topology is fully reactive current capable and therefore set up to meet demands that may be made in future as well. 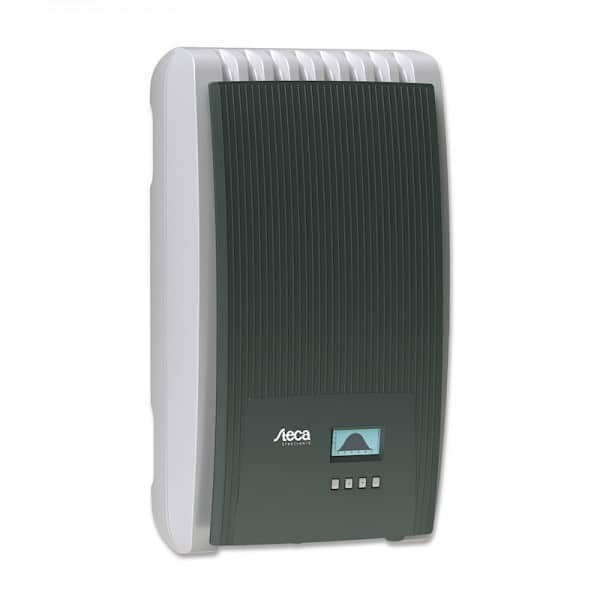 The Steca Coolcept StecaGrid 3203 3.2kW Three Phase Solar Inverter has a graphical LCD display for visualising the energy yield values, current performance and operating parameters of the system. Its ­innovative menu allows individual selection of the various measurements. The guided, pre-programmed menu allows easy final commissioning of the device.